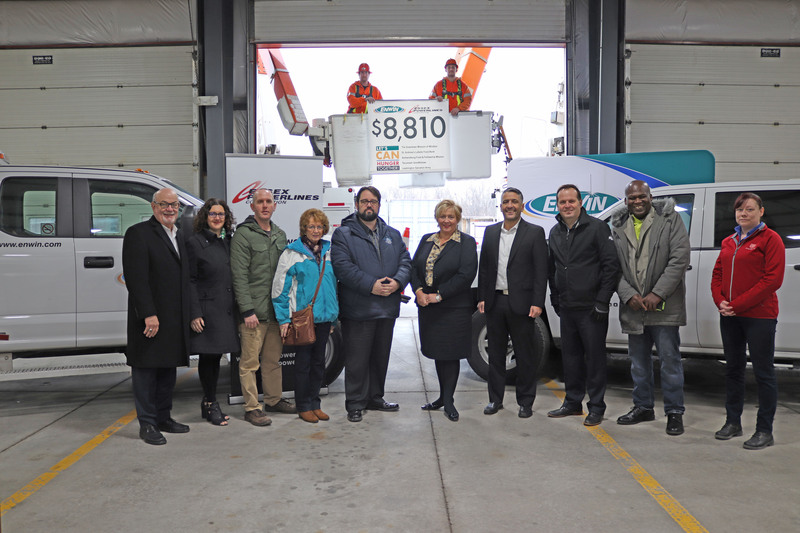 Windsor, ON: With just a few mouse clicks, 581 ENWIN Customers helped to contribute $5,810 to the Downtown Mission, simply by signing up for paperless billing. 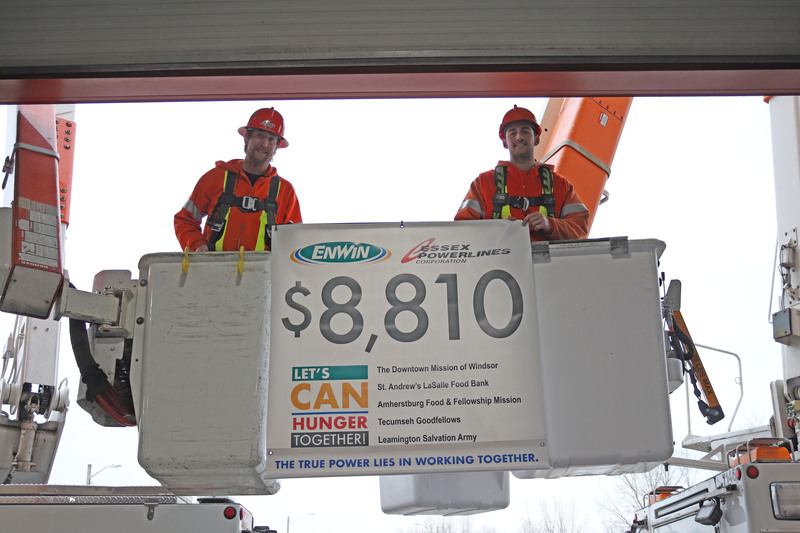 The Let's CAN Hunger Together campaign, a joint effort between ENWIN Utilities Ltd. (ENWIN) and Essex Powerlines Corporation (EPL), raised $8,810 in total for local food banks. The donation amount was announced yesterday at a media event held at EPL. The campaign offered customers a way to save paper and donate $10 each to local food banks, without spending a dime. The seven week campaign prompted customers to help make a difference in their community. The significant amount of customer participation raised $8,810 for local food banks and spoke volumes about the generosity of our community during times of need. The following food banks were supported by the Let's CAN Hunger Together campaign: The Downtown Mission of Windsor, St. Andrew’s LaSalle Food Bank, Amherstburg Food & Fellowship Mission, Tecumseh Goodfellows and Leamington Salvation Army.